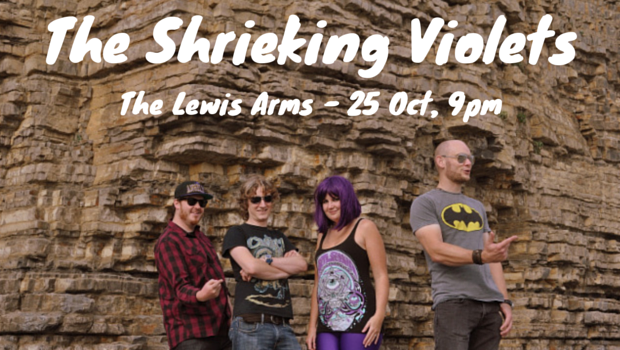 We have another treat for live music fans; the Shrieking Violets are playing The Lewis Arms this Saturday, the 25th of October. The Shrieking Violets are Rhi, Chris, Jim and Lloyd. Formed in 2010, the band play tracks from Madonna to Metallica, AC/DC to Adele and everything else in between. Listen to their version of “Whole Lotta Rosie” by AC/DC. You can follow the band on Twitter or check out their website. Update: Unfortunately, the band had to cancel at the last minute.